If you passed on a 2014 CTS because you were waiting on Cadillac to take some time with the redesigned sedan and give it the necessary tweaks, now is your time to strike. 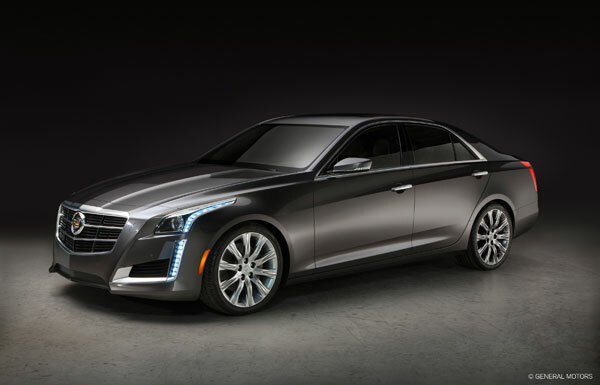 We’ve gotten word on all the 2015 Cadillac CTS sedan updates, and they were well worth the wait. As expected, the Cadillac crest’s wreath has disappeared. The 2015 CTS sedan will be the first CTS to wear the all-new crest with galvano finish. Other exterior design changes include the loss of two colors: Mocha Steel Metallic and White Diamond Tricoat. It’s a fair tradeoff, however, as two new color options have joined the lineup: Dark Adriatic Blue Metallic and Crystal White Tricoat. The interior also sees some changes. Medium Titanium with Jet Black accents will give way to Light Platinum with Jet Black accents. In addition, Brushed aluminum will replace Black Anodized aluminum on the Twilight Blue with Jet Black interior trim combination. There are a number of technology changes that are important to note. The single disc CD/MP3 player will be vanishing, but on the plus side, the 2015 CTS will be getting DockSpot inductive charging (interim model year feature) and a texting feature for CUE. In addition, Automatic Parking Assist will add perpendicular parking. The biggest 2015 Cadillac CTS sedan updates come in the way of safety. Lane Change Alert with longer range sensing functionality and Lane Keep Assist lane centering functionality will now join the Driver Awareness Package. This package is available on all trims save for Standard. Driver Awareness now also includes Forward Collision Alert, IntelliBeam headlamps, Lane Departure Warning, Rainsense wipers, Rear Vision Camera, Safety Alert Seat, and Side Blind Zone Alert.